You’re at your trade show, conference, concert or other event and you see dozens, hundreds or maybe even thousands of people who are your ideal target market. This is one of the biggest challenges marketers face. Because you’ve got a limited amount of time and there is so much competition for your audience’s attention. One person who is an expert at creating lead and data capture strategies that work at all kinds of events from music concerts and trade shows to hockey games and state fairs is John Prows of Aquacure. A professional lead and data capture specialist, John’s entire business depends on his ability to effectively capture people’s details at events large and small for his clients across three states (California, Colorado and Utah). That makes John a motivated marketer when it comes to getting the maximum number of leads at any event. And, given he’s in the top 1% of iCapture users worldwide, you can be sure what he’s doing is really working. So we asked John to share his “Hot Tips” when it comes to capturing leads at live events and trade shows, including how he was able to capture 50,000 names at just one event. The Top 4 advantages he gains from moving to a mobile data capture solution using iCapture for lead capture. The Single Lead Capture Strategy That Generated 50,000 Names at Just One Event (and Regularly Captures More Than 200,000 Leads a Year). At a recent Holiday Festival in Sacramento, John used a powerful strategy that enabled him to generate a massive 50,000 leads. This strategy is so successful, it’s the sole approach he uses at more than 50 events each year and it’s enabled him to capture hundreds of thousands of leads. So, what is this strategy? It’s a re-think of the “Enter To Win” Giveaway Promotion concept whereby he’s replaced old-fashioned pen and paper with efficient mobile data capture using a combinations of iPads along with iCapture’s Enter To Win Survey & Pick-a-Winner functionality. John has taken the traditional prize giveaway idea and revamped it using the latest mobile technology. The Prize itself is still important and you want to make sure it is something your audience will value and want to win. John says offering a Prize Giveaway is a great strategy because it means people will want to give you their correct information (not bogus data) – because they want to be notified if they win. He finds if people don’t want to give their information, they simply won’t enter. So that means the quality of the data is much better than other forms of lead capture that don’t offer a prize incentive. John used to use pen and paper entry forms for his Prize Giveaways before moving to iPads. “We started with paper,” said John. “But we found using mobile devices was so much better because people just seem to get more excited about entering their details into an iPad than they do when it’s a pen and paper entry,” he added. Using mobile devices also means John’s teams can go where the crowds are – often leaving their booths to position themselves where the traffic is flowing. John says this approach of tracking the traffic flow and sending his team out into the events with their mobile devices is the “secret weapon” he uses to capture more leads than other people at events who tend to stick to the confines of their booths. His iPads are also mounted on custom-built pods that can hold up to 4 iPads at a time and have been built to be extremely mobile, so his team can easily relocate them to the higher traffic areas at any event. John teamed his iPads with the iCapture app, which gives him complete control over the number and type of questions he can display (including multiple choice, skip logic and text entry). John’s Enter To Win process consists of 10 screens, all created easily in the iCapture Back Office and displayed on each iPad device at his various events and shows. 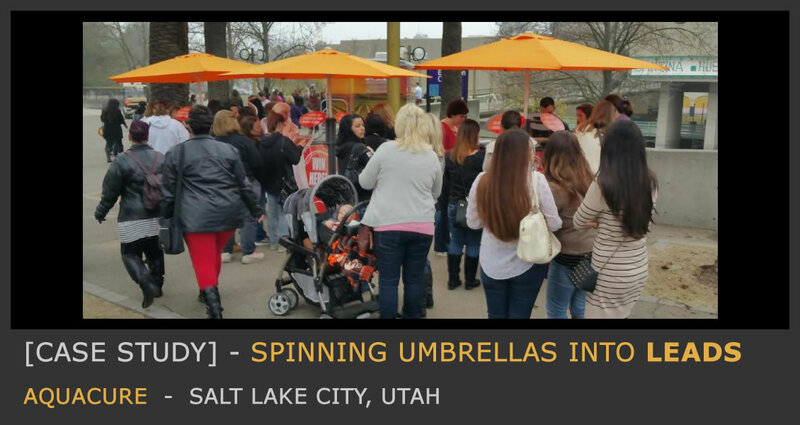 “With the iCapture app, I can see how the lead capture is going at various events around the country, even when I am here in Utah, all from my dashboard in the Back Office” said John. And because the iCapture app can work with or without an internet connection, John’s Enter To Win solution performs well in a variety of situations. Then, at the end of the event, John simply downloads an Excel spreadsheet from the back office for distribution to his client. At the conclusion of the promotion, he can then instigate the built-in iCapture Pick-a-Winner feature that enables the system to randomly select up to 20 winners. John can nominate to pick a winner from any questionnaire, from all captures or from a date range and the system will save the winners’ details for future reference. If you’d like to know more about how to run a prize giveaway for your next trade show, download this handy checklist now. Free Trial – You can trial iCapture today for free (no credit card required). Simply go here now to get started.